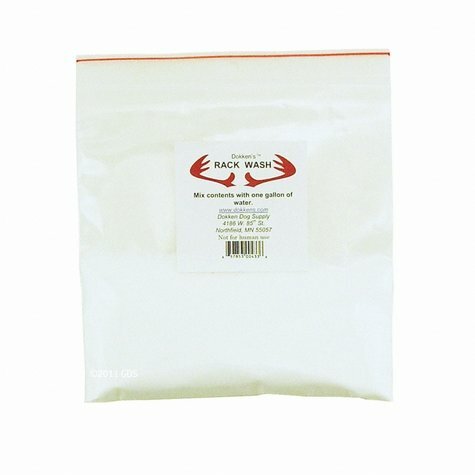 Dokken Shed-Dog Deer Rack Wash Concentrated Powder. $9.95. "I will be honest with you, that's not much washing mix for the money. " I will be honest with you, that's not much washing mix for the money. It doesn't wash many horns when you are training. Works ok, but I probably wouldn't buy again. If it made about five gallons that would be a help. Only one gallon doesn't go far. Thanks, Ron. "I am anxious to try it." I haven't used it yet. Working a lot of overtime, but I am anxious to try it. As soon as I do I will send in my results. 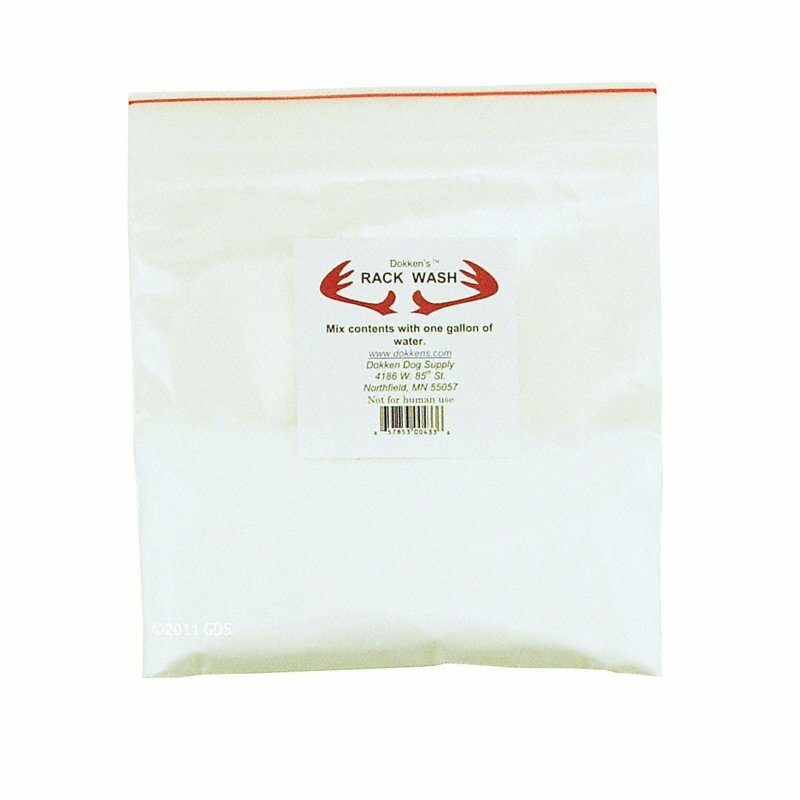 Use to remove human and other scents from deer antlers during shed dog training. Mixes with one gallon of water. Use with the Dokken Rack Washer.